The roofing drones are here, and now i will be using these for roof inspections. Currently the FAA has lifted the ban on the use of drones for commercial use as of August 29, 2016, so NOW you have to pass a knowledge test and meet with and designated FAA examiner to get your remote pilot certificate before can use drones. We were waiting for the green-light and just practicing, but all over the country companies are going ahead and using drones for Roofing inspections regardless. 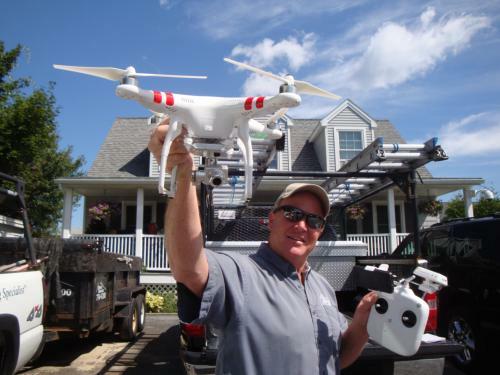 Roofers Will Be Using Drones Soon! The law didn’t make sense at first, the FAA needs to protect the American public, and now that I’m a private pilot I have learned and understand how things work in general aviation. Understand that It is illegal to use a drone for commercial use unless you have been granted a Exemption Section 333 by the FAA. Regardless the drones are coming and we will be using them as soon as they are approved for commercial use for doing roof inspections here in Maine. (But the PIC when approved must hold a a pilot certificate and valid medical certificate). I’m now a Private Pilot. Getting my Private Pilot certificate was one of the most incredible things I have ever done, and NOW I have a greater respect for the Nations Air Space, going to flight school and learning how to fly has been a life changing experience. I have petitioned the Federal Aviation Administration (FAA) and waiting for the approval. Using a roofing drone or a flying helicopter for roof inspections is a Safeway to look at a roof without having to get onto the roof. If a client calls and says they have a problem with the roof and it’s a two-story home with a steep pitch, instead of setting up stage and equipment which can take hours to look at the roof problem. 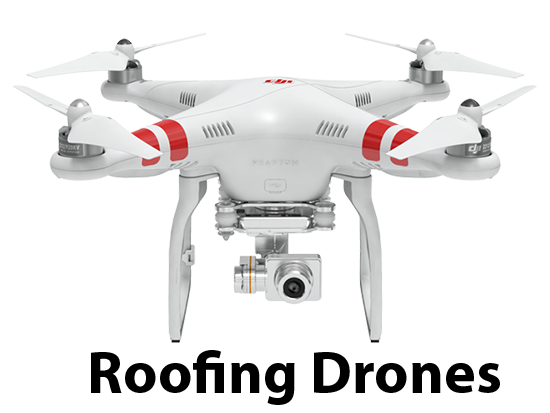 Using a drone to do a roof inspection would only take less than 10 minutes from start to finish, and you can give the video to your customer so they can look at the roof. Flying Video Cameras – Awesome! This technology is going to be the largest growth in American And will bring a whole new industry. Everybody in the construction business will be able to monitor jobs in progress, look at possible safety concerns so he we can keep our workforce safe. In the roofing industry the drones are going to be exactly what we need to do our roofing estimates, and a roofing inspections safely.